Uber passengers have vocally complained about erroneous cleaning fees for years. In January, a woman in Melbourne, Australia went to the press claiming she was wrongly charged $150 for what the driver called, a “Level 4 major bodily fluid mess.” And in 2016, a Tampa area driver was reportedly booted from the platform after charging multiple customers cleanup fees for suspiciously similar looking messes. One Uber driver speaking on condition of anonymity told the Herald that it’s not uncommon for drivers to file illegitimate charges, fight any disputes, and win. Many people don’t check their credit card receipts and the charge simply goes unnoticed. And honestly, it’s true. Users should simply be aware that it’s possible they could find an unexpected fee on their account, but it’s hard to see what better system would work aside from mandating video cameras be in place in the vehicle to record any incidents. Uber drivers use their own cars when they’re on the job and the fee is designed to cover professional cleaning costs. Lyft also charges a damage fee of up to $250. 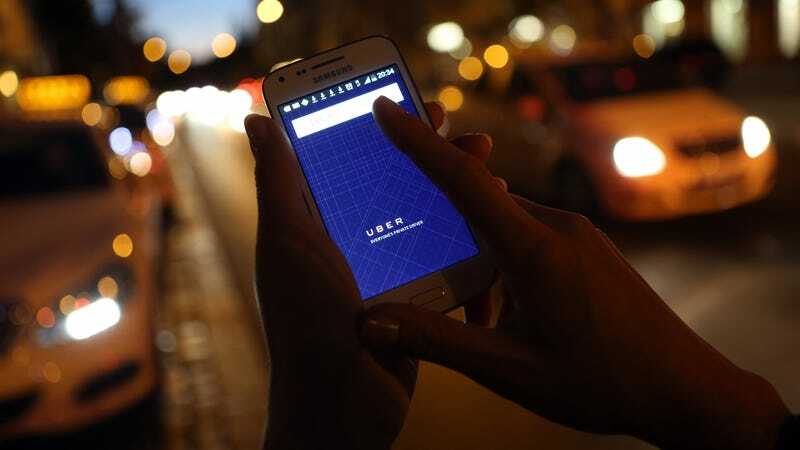 The cleaning charge can also be a legitimate way for Uber drivers with a strong stomach to make some extra cash. Uber driver Will Preston told Business Insider last year that he welcomes inebriated passengers after he realized that he could skip a professional cleaner, do the dirty work himself, and pocket the fee. Just know that vomit fraud is possible, check your charges after a ride, tip, give five stars, and if there’s an issue go here to report a fraudulent cleaning charge. If it was a particularly wild night, you might want to really search your memory about what happened, or you might end up paying $150 for the privilege of watching dash cam footage of yourself being a sloppy mess. Update: This post has been updated to reflect comments supplied to Gizmodo from an Uber spokesperson.